Warranty: 12 Months, based on manufacturers defects. Silicone feeding teat with wide lip rest which lets babies latch on well. 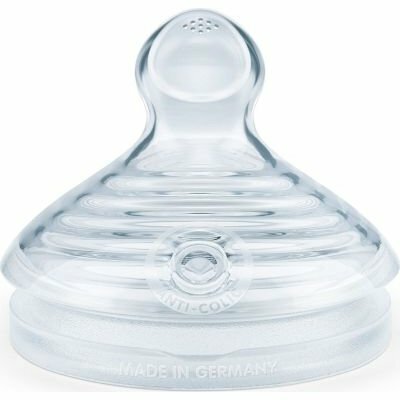 Several tiny openings modelled on a mother’s breast give an optimal, smooth and natural flow. The NUK Air Vent makes it possible to drink without a pause. This helps prevent air being swallowed. Extra-soft tip of teat is particularly flexible and adapts itself to the mouth.